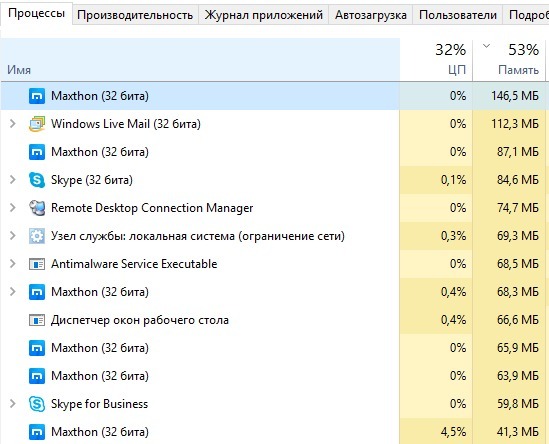 Maxthon is using more Ram than any other running program or service. Is this normal or is there a problem with this many instances running? 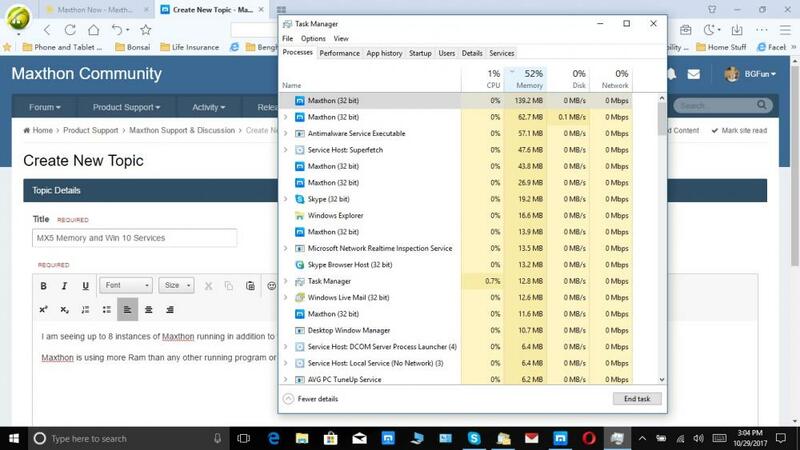 In the attached file, I have sorted Task Manager by Memory so not all Maxthon instances are showing. I believe there are 1-2 more instances not shown. 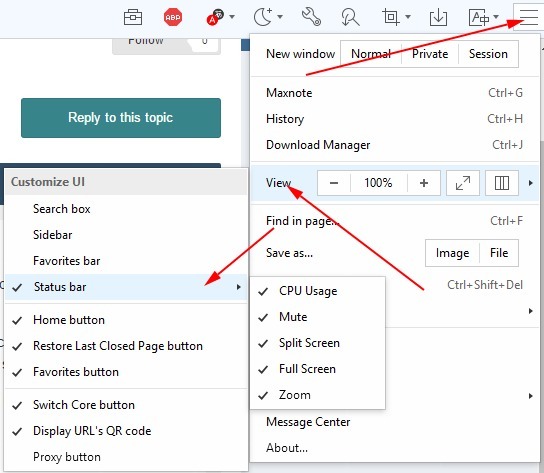 Maxthon is sluggish, slowly loads pages and when scrolling through a Facebook timeline only part of the page is displayed unless I scroll up and down the page until it fully loads the image. Also, is it possible to display the CPU, Memory and Ip information at the bottom of the screen as in Maxthon 3 and 4 versions? Hello! It's ok, it is internal mechanism and extensions. 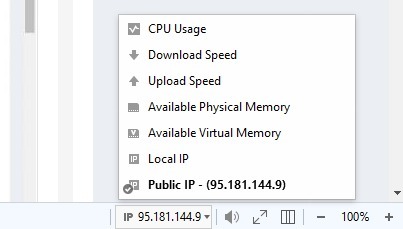 The CPU Status is grayed out and cannot be selected. The only add on/ extension that I use is Ad Block, so what are the others?